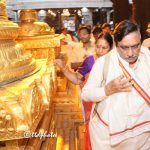 TIRUMALA, 22 July 2018: Deputy Chief Minister of AP Sri KE Krishnamurthy offered prayers in the temple of Lord Venkateswara in Tirumala on Sunday morning. 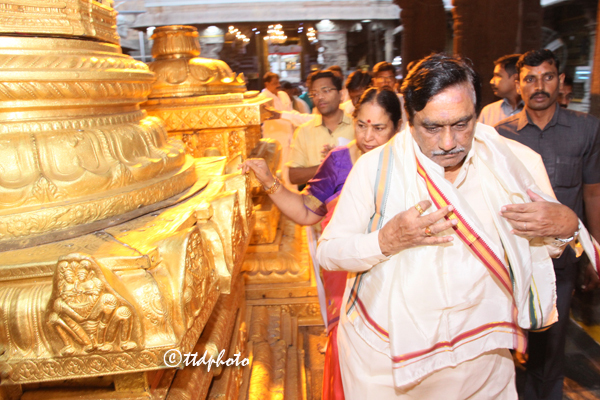 He was accorded warm welcome by Temple authorites at the entrance of the temple. 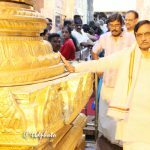 After having of Darshan of Lord Venkateswara, DyCM was offered Vedasirvachanam, prasadam of Lord, sesha vastram and teertham in Ranganayakula Mandapam. 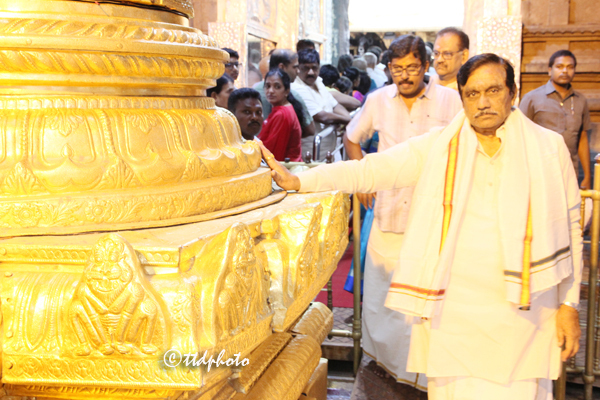 Temple DyEO Sri Haridranath, Reception Officials Sri Balaji, Sri Lokanadham and other officials were present.